Jan 20, 2017, marked the inauguration of the 45th President of the United States, Donald J Trump. Next week, the Lunar Year of the Monkey ends, ushering in the Year of the Rooster. This is where monkey business ends and the chickens come home to roost. Trump’s election marks a watershed between the old liberal order and a new populist phase that is clearly a rejection of the old order. Former German Foreign Minister Joschka Fischer defined this change as “Goodbye to the West” – a concept that the US was committed to the defence of its allies, mostly Western Europe, Australia and Japan. Trump has turned the old establishment on its head. Policy is not made by consensus, but by tweets. World thought leader Mohamed El-Erian, whom I had the great fortune to moderate at his keynote address to the Asian Financial Forum in Hong Kong earlier this week, argued that the world is at a T-junction. The old order has come to a dead-end. It is not even at the cross-roads, where you have the option of moving forward. At a T-junction, you either move right or move left. Volatility and the range of possibilities have increased, because no one knows which policy and which rule will change with the next tweet. There is, of course, no difficulty in picking where Trump will move. 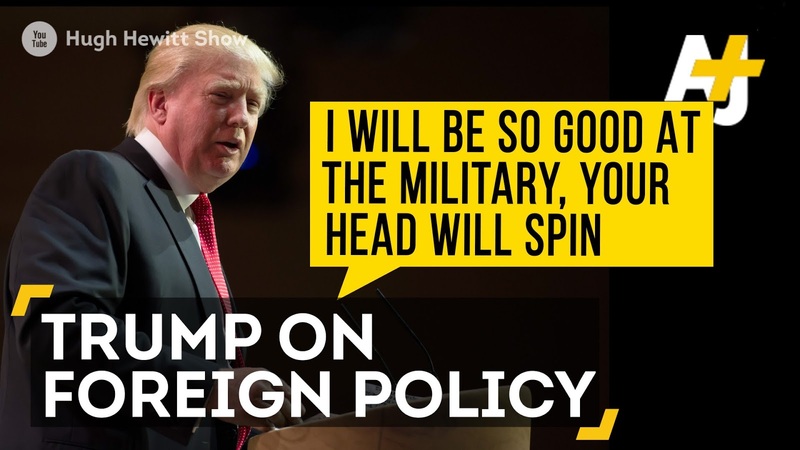 Indeed, anyone who said Trump is unpredictable is wrong – he is very predictable. 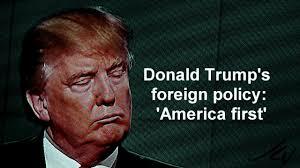 He will do whatever is in his best interest, saying that it is in America’s interest. He will move right, because the populist sentiment has rejected the old leftist liberal order. Our only concern is – how far right will he go? Based upon the inclinations of his appointees so far, it looks pretty far right. Trump’s election marks a very important juncture in Pax Americana. Two Democratic presidents marked the rise of the present American Exceptionalism – Franklin D Roosevelt (1933-1945) and John F Kennedy (1961-1963). The first brought in the New Deal to get America out of the Great Recession and then won the Second World War, confirming the new American order. The second inaugurated a more inclusive America, ushering global idealism of the American dream, providing aid, trade and culturally, an Age of Camelot. Trump’s ascension signals the end of the rule-based era for the public good, with a new era of clear and present self-interest, changing allies and allegiances by the tweet. Allies and foes alike do not know how to react to this new Art of the Deal. Crossing the river by feeling the stones is possible, when there are still some stones. But crossing the swamp where waters are murky with crocodiles and leeches will be much more complicated. I was forced to dust off my copy of German historian Oscar Spengler’s Decline of the West, written between 1911 and 1922, to get a sense of how we should think about this era from a long-term historical perspective. Vastly simplifying his magnum opus, Spengler’s thesis is that when parlimentarian politics fail, history tends to replace disorder with great men like Julius Caesar or Napoleon. Of course, one has to recognise that troubled times do not always get great statesmen, but may get little despots and decadent failures like Caligula or Nero, who eventually bankrupted Rome. A significant minority of Americans voted for Trump because he argued that he could make America great again. But the irony is not that America is weak, but that America is strong and on the verge of achieving the strongest recovery among the advanced economies. The perceived weakness comes from the insecurity of a significant majority of the working class that has become disadvantaged, not by globalisation, but by the benign neglect of the Washington/Wall Street elite who favoured themselves at the expense of the working class. Globalisation has not failed. It is the high priests of globalisation trying to deflect the populist anger against anyone but themselves that created Trump. The same high priests are joining the Trump camp, cheering the markets for the greater suckers. What are Asians going to do in this Trumpian Reality Show? First, we need to distinguish the signal from the noise. All the breast-beating at the Davos World Economic Forum this week was about how the caviar-champagne-forecasters got it all wrong. They were simply too self-congratulatory, self-referential and self-satisfied. They did not do the reality checks of simply looking at what was truly happening – the anger of the masses. Second, despite the fact that the dollar is strong and will remain strong if Trump gets his economic policies right, the US is still funded by global savings – mostly from Asia. Asia remains the world’s largest and fastest growing region with the highest savings. What we need to do is to channel that savings to Asian markets, even as the US and European banks retreat home. Third, the Trans-Pacific Partnership (TPP) was always an empty promise because going forward, technology and moving manufacturing jobs back to the US will not create greater exports for US trading partners. The Asian global supply chain is changing very fast from all points-to-one market (US) to point-to-point; South-to-South, because with more than half of world population and a growing middle class, the potential for global trade, investment and financial expansion is still in trade between India, China, Indonesia and all the emerging markets of the world. If the US turns inward under Trump, then Asians need to heed Franklin Roosevelt’s wake-up call at his inauguration, “the only thing we have to fear is fear itself”. Under Trump, we have much to fear, but remember, it’s “his dollar, but our savings”. The US Bureau of Economic Analysis data showed that the US had net foreign liabilities of US$7.8 trillion or 41.8% of GDP at the end of the third quarter 2016. In the Year of the Rooster, this is not chicken-feed. As America moves to a new T-(for Trump) junction, the choice is not between left or right, but between a Great America or a small-minded America. Time for Asians to think and act for themselves. 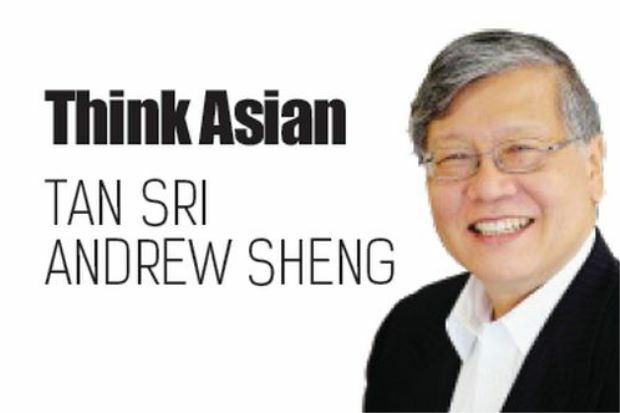 Tan Sri Andrew Sheng writes on global issues from an Asian perspective. What Trump means for Asian investors? The choice is a Great America or a small-minded America? America can be great again thru China and not to fight China. Jack Ma: America spent to much on wars.